We provide teacher resources and hands-on programs for the entire family. 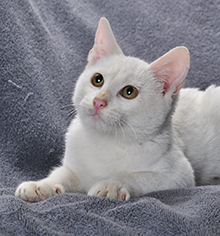 At the Nebraska Humane Society, we utilize humane education to reinforce character development skills, such as kindness, compassion, empathy, and responsibility. 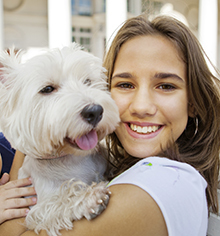 From caring for family pets to preventing animal suffering, we want youth, their classmates and their families to take an active role in providing hope to animals in our community. Our goal is to prepare the next generation of animal advocates through a variety of offerings for school-aged youth, including: summer camps for kids ages 6 to 13, clubs for teens and pre-teens, Boy and Girl Scout programs, and birthday parties. Humane education isn’t just for kids—we also provide teacher resources and other programs for the entire family, including: shelter tours, classroom curriculum ideas, service projects, and much more! Have an idea? Pitch it to us here! Civic groups, organizations or clubs can see how we care for and house the thousands of animals that come into our shelter. We’ll take you behind the scenes and show you the process an animal goes through as it makes its way from the stray kennels to a new home. Go behind the scenes to the surgical suite, tag along as we feed animals, and learn why we work so hard to get the animals out to good homes. We ask $3 per person which stays right here to help homeless pets. To schedule a group tour please call 402-444-7800, ext. 2214. To enhance the classroom lessons, the Nebraska Humane Society offers classes participating in our Humane Education Program behind the scenes tours of the Lied Humane Center. From the kennels to the operating room, get an up-close look at how the shelter operates and experience the compassion we offer all animals in our care! We ask $3 per person which stays right here to help homeless pets. 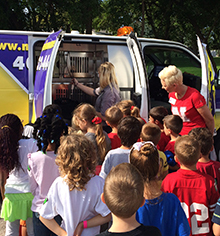 To schedule a school tour please call 402-444-7800, ext. 2214. 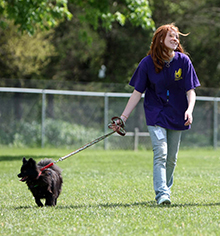 Our Humane Education program offers comprehensive curriculum to educate youngsters and the community on the joys and responsibilities that come with owning a pet. 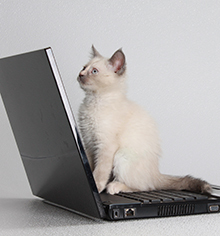 In addition to presentations and school visits by our humane educators, we offer age-specific, downloadable lesson plans, so teachers can fully explore the material in a classroom setting. Here's a list of fun activities for any animal-lover. Host a penny or coin drive. Call it pennies for paws, Dimes for Dogs, or Cash for cats! Whatever you call it, it's amazing how fast pocket change can add up and provide basic nesecceties for animals at the shelter. Contact our Education Department to come out and kick off your drive and add to the fun! 402-444-7800 ext. 2214. 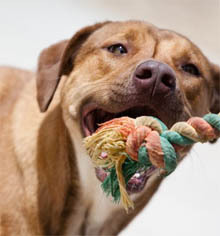 Host a garage sale, bake sale, car wash, or other event to earn money for the shelter animals. One person's junk might be an animal's best hope for a future. Sponsor a "special privilege day" at your school, where students or staff pay for a privilege like chewing gum, wearing hats, wearing jeans, etc. Instead of birthday presents for yourself, ask for items for the shelter animals. Contact us for a current list of most needed items. Host a fun run of tournament to benefit the animals. It's a win-win! Feeling artsy? Design bandannas with adoptable messages for the animals in the shelter to wear. Remember not to add anything the animal could swallow. Come into the shelter and spend some time reading books to the animals. All we ask is that minors are accompanied by an adult. We have an awesome shelf of books near the adoption kennels, or bring a book from home! Feeling crafty? Make fleece blankets and tug toys to keep the animals warm and cozy. Smaller fleece blankets make great additions to the cat kennels whereas larger ones work great for our dogs! Form an animal welfare club at your school or organization that meets regularly to discuss animal topics and complete service projects. Hold a neighborhood or community drive to collect items found on our wishlist. Become an ambassador. Create an educational presentation and choose and audience. Choose a variety of topics: Responsible pet ownership; ways to support local shelters; how to solve pet overpopulation; showing empathy kindness and compassion to animals; what to do about cruelty and neglect; the mission and purpose of an animal shelter, etc.